Sputnik's Arabic bureau has obtained photos of a decree by Daesh (ISIL/ISIS) leaders instructing its fighters not to attack US-led coalition aircraft operating over Mosul and the surrounding area. 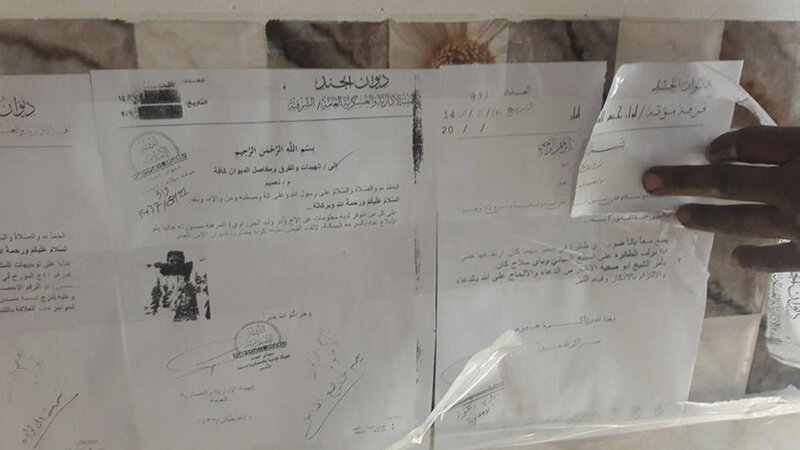 According to Sputnik Arabic, the decree was discovered by Assyrian Christian militia on an information stand in central Bakhdida, at a so-called Daesh 'mobilization center'. Such centers were established by the terrorist group to mobilize the local population and train new recruits. Decree instructing Daesh fighters not to attack coalition aircraft. Sputnik Arabic Decree instructing Daesh fighters not to attack coalition aircraft. The text of the decree reads: "It is strictly forbidden to shoot down, using any weapons whatsoever, any aircraft that is in the air, no matter what height they are flying at, even if the aircraft lands on the rooftop of houses." "It should be noted," Sputnik Arabic stressed, "that the competency to conduct airstrikes against Daesh in the Nineveh region lies [strictly] with planes of the international coalition led by the United States, which has repeatedly been accused of airstrikes on forces of the People's Militia and the Iraqi military, and of dropping humanitarian and military aid which has ended up in Daesh's hands."